With public interest in Mars exploration and a human mission to the Red Planet growing, due in part to the success of 20th Century Fox’s movie, “The Martian”, with Matt Damon, two Fox News crews visited the Mars Society’s Mars Desert Research Station in southern Utah in late January. 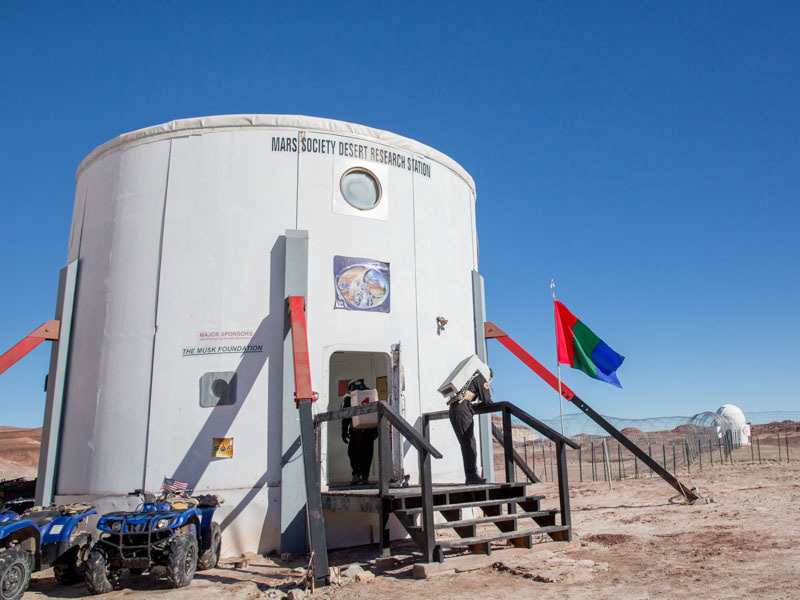 Fox 13 (Salt Lake City) and Fox 31 (Denver) sent reporters and film teams to the MDRS habitat to learn more about the Mars Society program and the activities of the crews, which rotate in and out every two weeks. Stationed at MDRS during the visit was Crew 162, a three-person team from the International Space University.